Governorship Candidate: First up is Gbadamosi Babatunde Olalere, whose vibrant intellectualism stole the show at the recent governorship debate sponsored by the Covenant Christian Centre, is the current governorship candidate of the Action Democratic Party. Gbadamosi is a real estate developer currently managing Red Bricks Home International Limited. At the debate, Mr. Tunde Gbadamosi was quite outspoken about his agendas and policies for the state most of which was centered around improved transportation system, transparent government and increased staff salaries. He pointed that the rail and water means of transportation would be effectively maximized thereby reducing the popular “Lagos traffic” and also the budget of the state will be openly available to all thus ensuring an open system of governance. 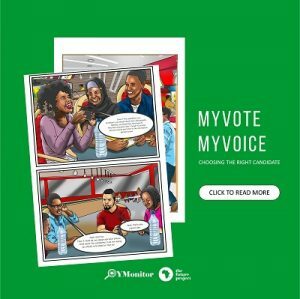 Manifesto: Topping the lists of issues to be addressed by Adebisi if elected is unemployment faced by over 4 million Lagosians at the moment, the apparent solution she proposes is building a job employment center to assist job seekers. Her administration promises to advocate for a transparent environment where government’s intention is known to everyone. Tackling insecurity is also a major priority to party whose aim is to re-brand the police force. Governorship Candidate: Muyiwa Fawora who is in his late 50s is contesting under the platform of African Democratic Congress (ADC). Manifesto: The party acknowledges that there is a lot of work to do to attain a Lagos of our dreams especially at the grassroots therefore, it aims to ensure proper utilization of the resources of the state for the benefit of the masses. Included also is the expansion and completion of major road links in Lagos. Babajide Sanwo-Olu is the flag bearer of the All Progressive Congress (APC) and no doubt, one of the popular contenders. He is a graduate of the Lagos State University, the London Business School and the John F Kennedy School of Governance. He pledges to focus on grassroots development, an accessible government and eradication of poverty if elected. He promises to be a “listening governor’’ and that whenever Lagos calls he will answer. He was the managing director of the Lagos State Property Development Commission. Omolara Adesanya is the governorship candidate for Providence People’s Congress (PPC),. She is a professional with over 30 years at the Central Bank. She retired in 2017 as a deputy director. She has wants to tackle the issue of unemployment in Lagos, address the security challenge and block all areas where the state revenue is haemorrhaging. Owolabi Salis is the governorship candidate of the Alliance for Democracy (AD). He is a chartered accountant and most notably a legal practitioner. He first ran for governor on the platform of PDP in 2007. He said that his policies would be targeted at the grassroots and geared towards stopping imposition and systemic slavery in the state. He also wants to run a successful government which is able to bridge the gap between the rich and the poor in basic needs of education, housing, transportation, health, food and others. Funso Awe is an Anglican Priest who is running for governor on the platform of the National Conscience Party (NCP). In the past he has served as the presiding chaplain of the Lagos State Chapel of Christ in Ikeja and has also served at the lower rungs of government. He wants to instigate a reform in the housing sector in Lagos State. Dr. Oluwasegun Musa is a technocrat and maritime expert. He is the governorship candidate for Advance National Democratic Party (ANDP). He states that he will end the era of cosmetic projects and create a blue economy, in other words, enhance the waterways which exist around the state. He has a five point agenda which entail: Housing and Infrastructure Development, Blue and Green Economy, Capacity Building and Job Creation, Unlocking the Potential of the Local Government Areas and Sports and Entertainment. Abundant Renewal Party (ANRP) has Arch. Abiodun Dabiri as its governorship candidate. According to him ANRP is a party where youths can realize their ambitions. He feels what Lagos needs is a better and focused party who can deliver a stellar quality of governance to its people. Labour Party has Olurotimi Olulana as its governorship candidate. Jimi Agbaje is running on the platform of the Peoples Democratic Party. He is one of the most popular candidate in this upcoming election. His campaign promises are centred on Liveability, Economy and the Future. All Grassroots alliance simply known as AGA has Balogun Opeyemi as their gubernatorial candidate in Lagos. He is a 47 year old. Balogun represents a very ambitious party whose manifesto outlines plans for the development of more than 20 sectors in the country. Their aim is to develop the following areas: Education, Health and Social Services, Housing, Investment, Environment, Pollution, Limiting Waste, Transport, Land Use, Animal Welfare, Transforming the Political System, The Rule of Law, Agriculture and Fisheries, Mineral Resources, Security and Peace, Poverty and Corruption, Gainful Employment, Culture and Tourism 10 Sports, Economy, and the Textile Industry. Adeyemi Abiola is the 41 year old lady that was selected by the Democratic People’s Congress (DPP) to represent them come the 2019 Lagos governorship race. Supposedly she got majority vote in the party’s primary and has been entrusted with the duty of representing the party for the governorship race in Lagos state. Abiola aims to carry out the party’s developmental goals which focuses on four main areas: Infrastructural development, which includes the building and maintenance of roads, potable water supply, electrical power, transportation and communication. ; Education; Health; Closing the technological gap.